Photo editing applications on tablets or smartphones are very common nowadays. They are very useful when you have a low-resolution camera. 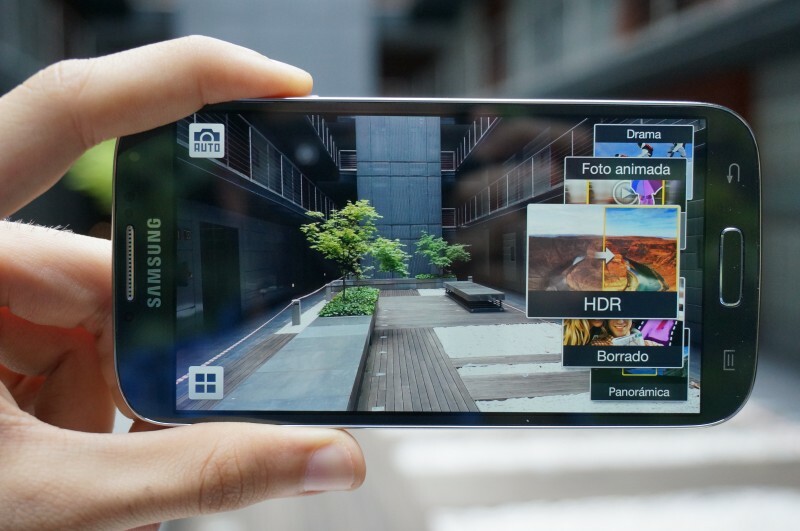 Today the cameras that come on smartphones have been significantly improved, this has put the pressure on photo editing applications to keep up with the pace and constantly offer new and exciting features. Today we’re going to present the best applications to help you tweak your happy snaps. Autodesk Pixlr is a free photo editing application that was created by the same developers which made some great productivity applications such as Autodesk and SketchBook. This Pixlr application comes with some powerful tools such as filters, effects, tweaks, blur tool, color pop tool, which will get your creative juices flowing. By using the focal blur tool you will be able to simulate a focused subject from the photo. This allows you to select a specific point in an image in order to create a soft de-focus on everything outside of that focus range. The color pop tool works similarly, allowing you to pick a certain area to colorize while making everything else white and black. Lately we’ve noticed that there are a lot of people using this feature, which in our opinion is pretty cool. 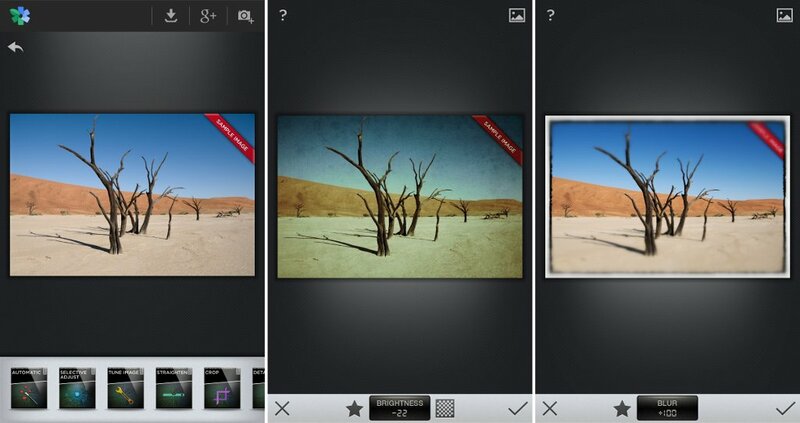 If you want to use other filters and effects Pixlr offers a variety of features and options. Spinly doesn’t have the usual tools that other photo editing applications come with. However, it still handles basic editing and filters without any problems. The filters that this application comes with include: Soft, Urban, Vintage, Mono and Main, each having its own distinct look. Each effect comes with sub-filters that have minor differences. After you select the effect that you want to put on the photo you can also adjust the strength of the effect. Aside from the filters, Spinly also comes with the ability to control contrast, sharpness and saturation. Spinly also allows you to crop with ease. As soon as you finish editing a photo and save it the application will give you some quick buttons that give you the option of sharing the photo on Google+, Twitter, Facebook, Instagram or Tumblr. Spinly is a free application and it is very simple to use but keep in mind that it comes with ads and you won’t be able to remove them. Snap seed is an application that has received a new interface allowing it to make the most out of Android 5.0 Lollipop. The application is offers simple but efficient ways to edit and tweak your photos. The first screen of the application prompts you to select a photo so you can begin editing it. You can even choose photos from the cloud, Google Drive, Box or Microsoft’s OneDrive. For now the application doesn’t support Dropbox but you can download the photos manually from it and then edit them. Snapseed comes with many tools which will allow you to have a finer control over the images you edit. You will be able to adjust the sharpness, contrast, brightness and more. When you start understanding the effects that the application comes with, you will be able to make better use of them when applying them to you photos. Many of the filters come with different presets which will allow you to edit photos very efficiently. 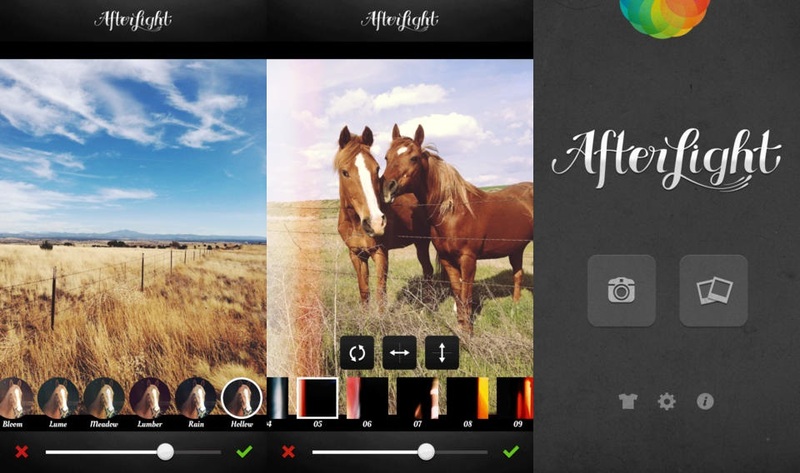 Afterlight is an application for those who want a larger choice of effects and filters on the photos they are editing. The application comes with a simple interface but it has a lot of tools making it the best application for smartphone photographers which rely on the social media websites to share their photos. There are around 59 filters (14 of them created by guest Instagram users), 77 adjustable frames and 66 different film textures. In other words, you have over 300.000 combinations of filters, frames and textures that you can apply to your photos. Besides the filters Afterlight also comes with the traditional photo editing techniques. You will be able to control the contrast, brightness, sharpness, saturation and more. By using this editing application you will have access to cropping and transforming tools. After you have finished editing a photo you will be able to upload it to different social media websites with ease. If you are using Instagram tagging your photos with “#Afterlight” is a sure fire way to get plenty of likes. There are a lot of people who use photo editing applications. By learning to edit a photo with one of the applications we’ve mentioned above your giving yourself the best chance at turning and average photo into a great one. 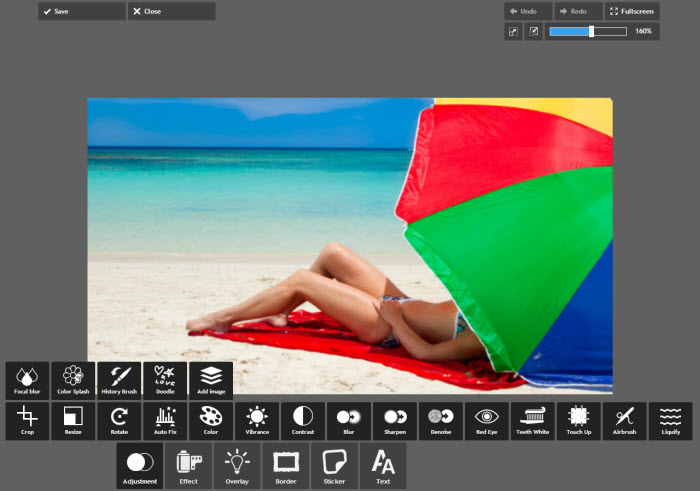 Have you used any of these photo editing applications before? Tell us your thoughts about it/them!